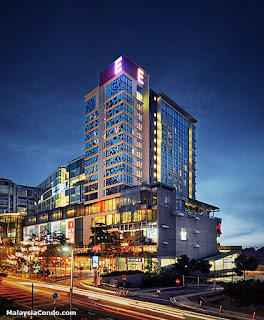 Empire Subang strategically located within the thriving township of Subang Jaya, Empire Subang is an integrated business, entertainment and living development. This all-in-one freehold development comprises the Empire Hotel Suites, Empire SOHO, Empire Tower and Empire Shopping Gallery, as well as a private club that houses lounges, swimming pools, bars, alfresco cafes and restaurants. Designed and created to fulfil the business demands of a host of audiences from budding entrepreneurs to established businesses and those simply seeking leisure and entertainment galore, Empire Subang is a thriving round-the-clock business and entertainment hub.